Home Sweet Home! 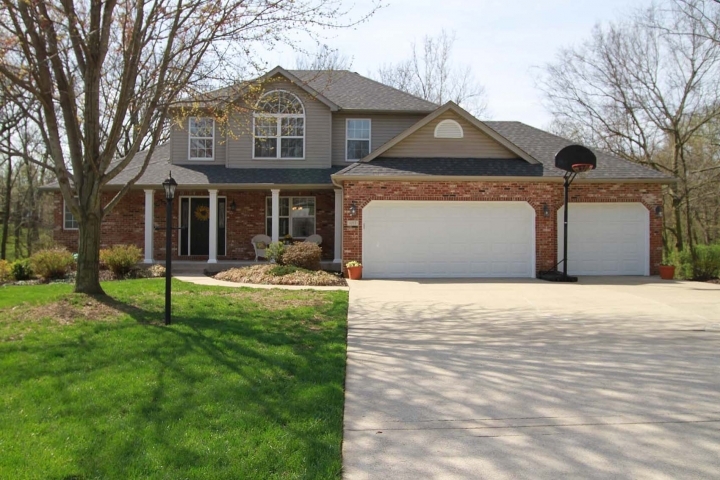 Meticulously maintained 1 owner 5B/4B home in Stonebrooke Subdivision. 2 Story entry foyer w/ beautiful hardwood floors. Vaulted living room w/ floor to ceiling brick FP. Kitchen has gorgeous Quartzite countertops, center island, separate breakfast area w/ workstation & pantry cabinets, and bump out bay windows. SS appliances. Large dining room. Main floor laundry w/ wash sink. Main floor master bedrm has vaulted ceiling, new carpet, great views of wooded backyard and updated master bathrm suite w/ dual sinks, new fixtures, tile shower, Jacuzzi tub and walk-in closet. Lower level has family room w/ FP, 5th BR w/ walk in closet, updated full bath, recreation room, storage room/workshop area, walkout basement w/ private patio. Deck off the kitchen overlooks the plush landscaping and a well manicured creek line. Oversized 3 car garage w/ built in storage shelves. Roof Oct 2018. HSA home warranty included. Convenient location. Easy access to I-55 and SIUE and Glik Park.